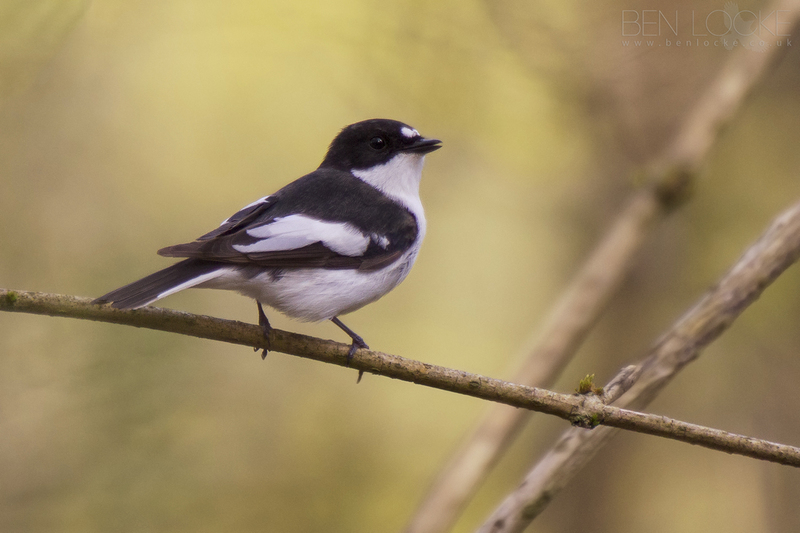 A male Pied Flycatcher in the Forest of Dean, photographed while prospecting for a nest site with female. Numerous visits in to a small hollow in a tree trunk seemed to seal the deal, but I haven't returned to see if they decided to use it or not. Pied Flycatchers practice polygyny, so may well have at least one more mate elsewhere in the forest.